Corneal dystrophy is the presence of abnormality in the transparent cornea and is regarded as a genetic and often progressive eye disorder. It must be noted that corneal dystrophies in some individuals may not present any symptoms, while other patients may experience significant vision impairment over time. Specific symptoms and the age of onset also varies by the type or form of corneal dystrophy and only an experienced ophthalmologist in Abu Dhabi would be able to track the disease through tests and clinical examination. Some of the anomalies are identical in the way they occur: it affects both eyes, progress is slow, no other body part is affected and it’s mostly hereditary. International classification of the disease has been developed and this takes into consideration the chromosomal loci of various corneal dystrophies alongside genetic causes and mutation. The syndromes have been classified based upon clinical findings and the affected layer of the cornea. Advanced molecular genetics have led to greater understanding of the eye disease. 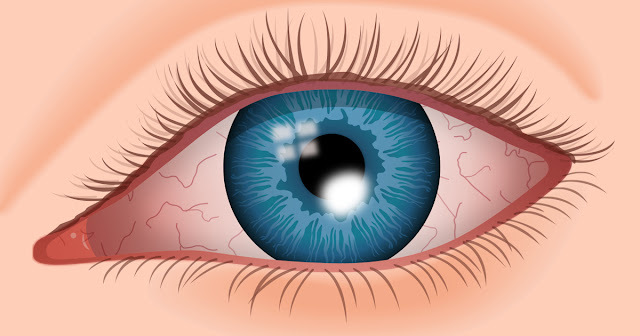 Accumulation of a foreign body or an abnormal material within the cornea creates symptoms of corneal dystrophies. The cornea protects the eye from dust, germs and harmful or irritating material, as well as acting as an outermost lens. The presence of a foreign material in any of the five corneal layers can result in disease. Over time, the material causes the cornea to lose its transparency, often leading to blurred vision or even blindness. A common symptom is recurrent corneal erosion, in which the outer layer of the cornea (epithelium) doesn’t stick properly to the eye. In recurrent corneal erosion, a patient experiences severe pain, discomfort, abnormal sensitivity to light (photophobia), blurred vision and actual sensation of the foreign body (like dirt or an eyelash). If any of this occurs, consulting an ophthalmologist in Abu Dhabi is a must. A routine eye examination can incidentally detect corneal dystrophy and positive analysis is confirmed after a detailed clinical examination. This includes the patient’s history and a variety of tests, such as a slit lamp examination performed by an ophthalmologist in Abu Dhabi through a special microscope (slit lamp). Particular corneal dystrophies are diagnosed through molecular genetic testing prior to development of the symptoms. The treatment of corneal dystrophy varies according to the nature of the symptoms. Some patients show no signs and are termed as asymptomatic. Others who experience mild symptoms are regularly observed to detect the progression of the disease. Specific treatments may include eye drops, laser therapy, ointments or corneal transplant in extreme cases. Recurrent corneal erosion is usually cured through lubricating eye drops, antibiotics, ointments or specialised (soft) contact lenses. In case the recurrent erosion persists, corneal scraping or excimer laser therapy is performed to remove abnormalities from the surface of the cornea. The last straw is corneal transplant, also known as Keratoplasty, only in extreme cases of the disease. Visit an ophthalmologist in Abu Dhabi today and make sure your eyes are healthy and without any signs or symptoms of corneal dystrophy.